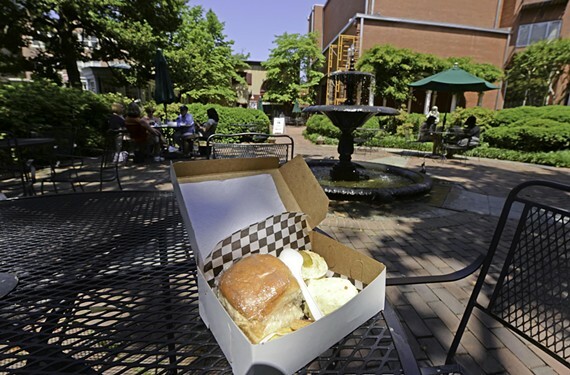 Tucked inside the sculpture- and fountain-filled garden at the Valentine Richmond History Center, Sally Bell’s Kitchen offers its classic boxed lunches. Deviled eggs and cheese wafers were meant to be savored under the shade of magnolia trees. 1015 E. Clay St., 649-0711, richmondhistorycenter.com.